Edith wasn’t one to be held back by her early struggles. At the age of 18 she used the money received from her parent’s estate to pay for tuition at Vassar College in New York. Here she studied mathematics and astronomy and graduated with the highest honors. After graduating from Vassar, Edith went on to teach math and physics at a private girl’s school in San Francisco and at Marshall College in West Virginia. However, Edith was intent on being an engineer. To pursue this goal, she enrolled in a civil engineering program at the University of Wisconsin. During this time Edith also accepted a job at AT&T as a Human Computer. Much like the computers of today, her job was to solve complex mathematical equations. Edith’s mathematical work at AT&T helped her fellow engineers to build the first transcontinental phone line from New York to California. She enjoyed her work at AT&T so much that she dropped out of her civil engineering program and managed a group of women Computers during World War I.
Edith Clarke graduated from MIT in 1919 with a Master’s Degree in electrical engineering. She was the first woman to earn an electrical engineering degree from this prestigious university. Edith took a temporary leave from GE in 1921 to become a Professor of Physics at the Constantinople Women’s College in Turkey. Perhaps she was frustrated at being roadblocked in her desire to become a fully-fledged electrical engineer? It’s a mystery. In 1922 Edith returned to GE where she was recognized as a salaried electrical engineer, at last! This made her the first professionally employed female electrical engineer in the United States. Edith spent the next 25 years at GE writing a number of technical papers on power transmission and the mathematical examination of power lines. Not to stop at being the first woman to present a paper at AIEE, Edith also became the first woman to become a voting member of the organization in 1948. The AIEE later became the Institute of Electrical and Electronic Engineers (IEEE) that we all know today. 25 years later, Edith retired from her post at General Electric and went on to teach electrical engineering as a professor at the University of Texas at Austin. Again, she made history as the first female electrical engineering professional and taught until her retirement in 1956. Edith Clarke had the courage to pave a path that was not set before her. She completely disrupted societal expectations in a day and age where women were expected to uphold traditional roles at home. It takes true determination to push beyond the established status quo on a path of your own. 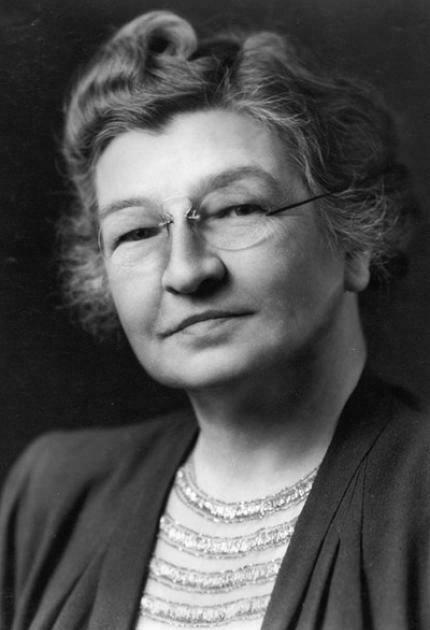 Edith Clarke, thank you for changing our world and expanding opportunities for female electrical everywhere!